Have you seen the cool art in Covington, Kentucky? If you are near Sixth Street and Madison Avenue, you cannot miss it as it is 100-feet wide and 60-feet tall. 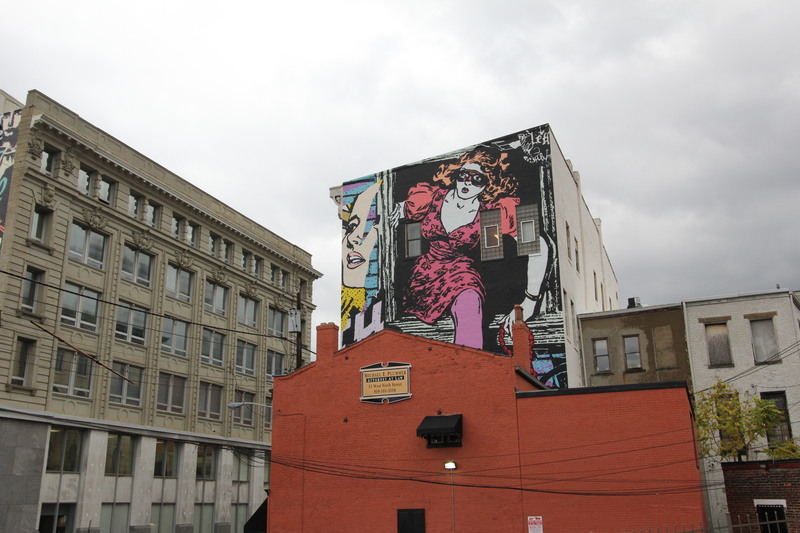 The mural is name “Around the Corner” and was created by artists called FAILE. 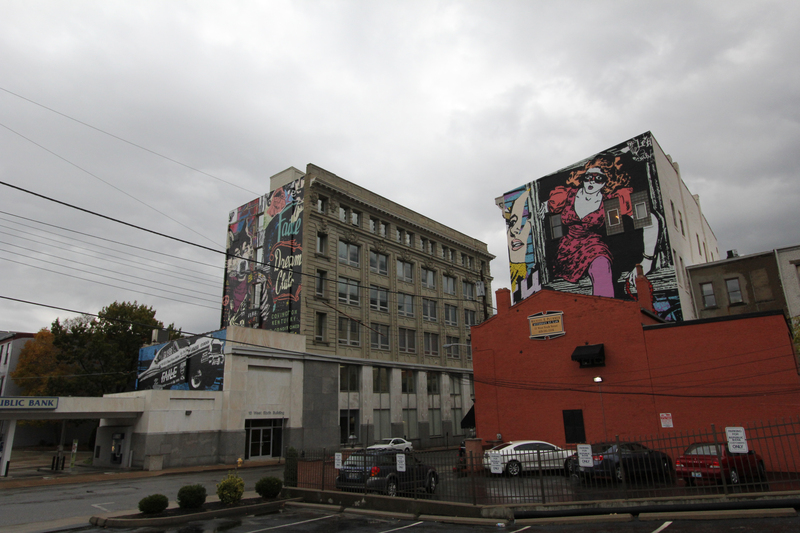 Painted onto two buildings adjacent to each other and across the street, it was created in a two-week period last October. See more images of this mural here. 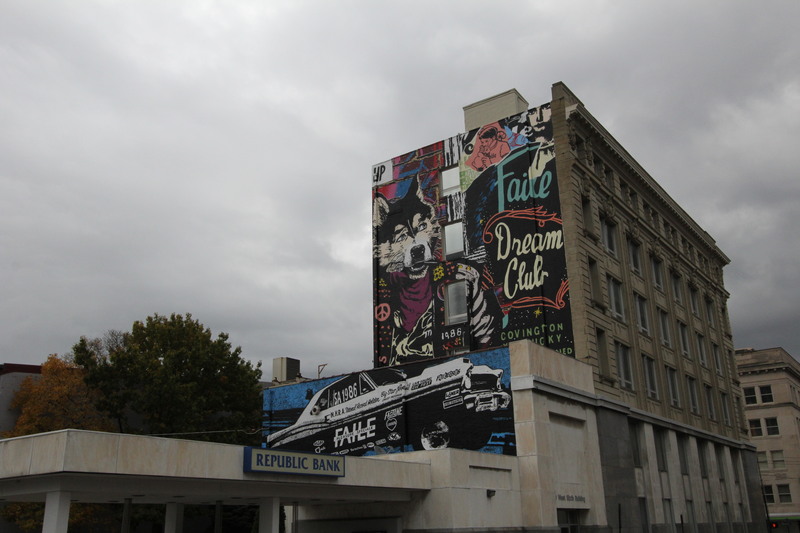 FAILE is a very popular group of street artists (based out of Brooklyn, New York) who have painted murals in Los Angeles, New York City, Amsterdam, London, Paris, and now Covington. Their signature work incorporates culture-driven icons and collages. See other FAILE images here. Read more about the history of FAILE here. This entry was posted in Communities, Have Fun! and tagged FAILE murals in Covington, Kentucky by susanaknabe. Bookmark the permalink.